LV or MV for large pumps and motor management in mining ? I am often asked whether LV or MV is a better solution for connecting motors. As it turns out, answering this question is not just a comparison of direct costs related to equipment investment. It also concerns indirect costs such as for personnel training, habits of using LV or MV for a certain range of motor power, availability of suitable voltage levels, as well as the impact on parallel loads and overall electrical system. 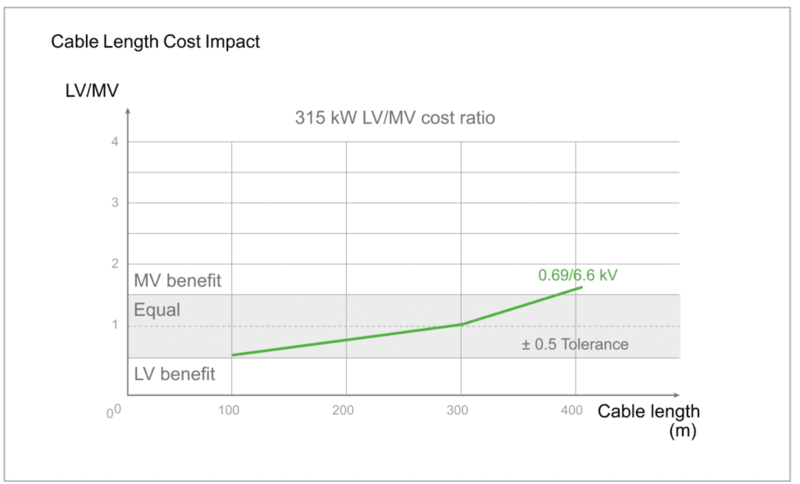 In the 100-800 kW range both LV and MV connection levels are feasible, and this is a range where established practices are just as important as some of the technical and economic arguments. 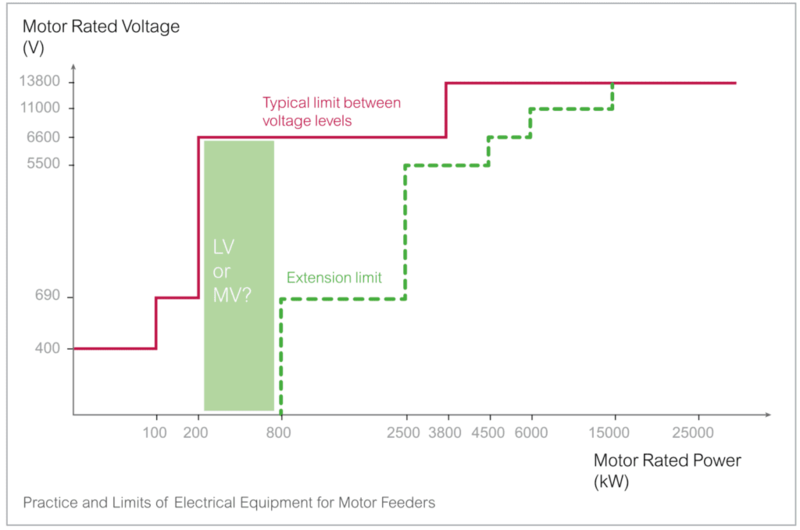 Below are the results of several recent analyses I made comparing LV and MV equivalents for motors in the 100-800 kW range. More detailed information on the analysis behind these results can be found in our new motor management guide. Figure 1 compares generally-established practices for voltage level selection and their reasonable limits. It shows that switching to MV sometimes occurs sooner than necessary, potentially creating hidden costs and unnecessarily increasing CAPEX. Capital expenditure (CAPEX) related to the necessary investment in equipment, software, etc. Obviously, if a certain voltage level is not available in an installation (usually MV), then the question of which connection voltage to choose is not relevant. But when there is a choice, it is quite difficult in the early phases of a project to predict and optimize OPEX. You need to have the process running before deciding if there is any room for improvement. CAPEX is much more straightforward and can be done at the very beginning stages, thereby getting your process up faster and more efficiently. 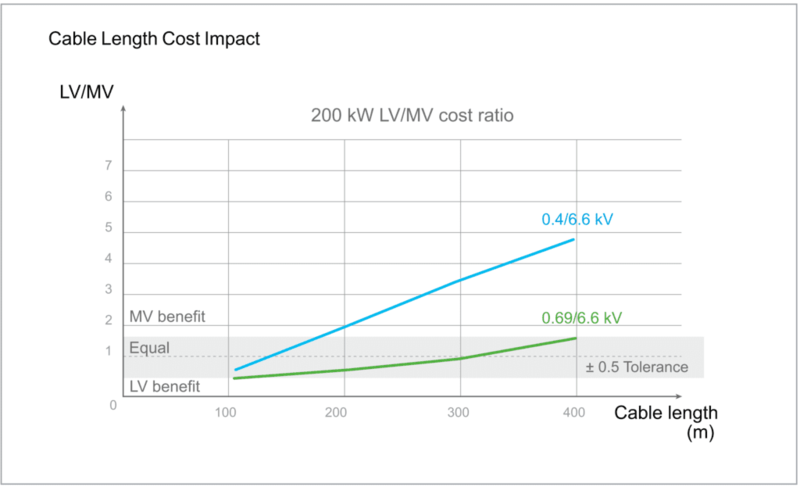 All of these components can be specified as either LV and MV, however, the cost of MV equipment is typically higher for MV versus LV (except for monitoring and control). So then why is there even a question as to which way to go? Why isn’t LV normally the right choice? In particular, the last two in the list above differ significantly between LV and MV. High power motors from 400kW and up may need only one cable per phase in MV, but two or three in LV. Therefore, although the unit cost of cable is lower in LV, the final total cabling costs and overall project CAPEX could be much higher. 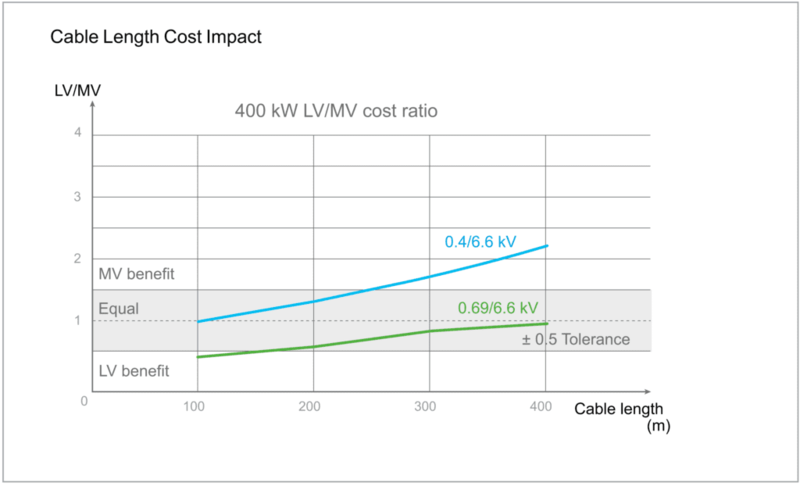 It’s estimated that LV cabling costs can be as much as 50% of the total cost of the electrical installation, which significantly impacts the otherwise lower cost of the rest of the equipment and gives rise to the question of which is better: LV or MV? The results above show a grey range where the LV to MV ratio is close to each other. In this typical situation, the decision is determined by indirect factors such as habits, training, local practices, servicing, space available, etc. It’s not one-size-fits-all when trying to optimize your motor management projects, and cabling may be the deciding factor when designing and planning your next electrical system for motor management. Or visit our website on motor management. Thank you Garenne-alabadi. The information in this article is also valid for pump applications in other activities such as water, water treatment, oil and gas..
Hello Online Electrical Training, thank you for this feedback! If you may need additional information or would have any suggestions for further analyses please let me know.